Former West Brom manager Alan Irvine says he does not think Baggies striker Saido Berahino is ready to move to a club like Tottenham. 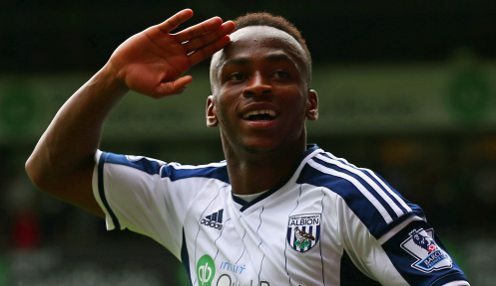 Berahino scored 14 Premier League goals last season and earned a call-up into the England squad as a result. He was heavily linked with a move away from the Hawthorns during the January window but, having replaced Irvine as manager, Tony Pulis managed to settle the player for the remainder of last season. The 21-year-old has been linked with a move to White Hart Lane this summer but his former boss feels he would be better off staying at Albion for now. "Is he ready to play a huge part at a club like Tottenham who want to be challenging for the top four? Probably not yet," Irvine told the BBC. "I always said to Saido that as long as he kept focus and did the right thing then he would continue to develop." Berahino is 1/1 to be the top scorer in the Premier League next season and Irvine feels he can continue to improve his overall game. "He is a player who certainly has the potential to become a very good striker," said Irvine. "It's important that he plays. He's at the stage of his career where he needs to play regular games. He's got a talent. His movement is very good."